These days, we often hear that SEO is no longer an important part of marketing your business. But don’t be fooled — it’s still important, and like many web skills, you can’t learn the ropes once and call it a day. SEO rules and search engine algorithms change year after year. Following the latest changes and making the necessary changes to your site is a no-brainer. This year, search engine optimization will be as powerful as ever, but search engines are getting smarter — and it’s harder than ever to use dodgy tricks to fool them. SEO in 2016 isn't just about optimizing websites for search engines, but about making your site suitable for people. If you’re interested in what SEO will bring in 2016, here are six tips that won’t let you down. The goal of content marketing, in our case, is to provide value to visitors. If you want to create a great content marketing campaign you should focus on providing answers. Every word you write should have value and give answers to the questions your readers might have. Take a moment to search Google for something you find interesting. You will see that many of the articles on the first page are how-tos and list posts. There's a reason these posts get on the first page of Google: they provide value. Quora. Quora is one of the most important resources for market research. In case you find your niche on Quora, you can see what people are asking and use that to your advantage. Try to write articles that give value and answer questions related to your topic. Reddit. Reddit is not called the front page of the Internet for nothing. There are 231 million unique visitors and 36 million members who can submit content, such as text posts or direct links, and ask questions. Not only that, there’s a subreddit for every specific niche and interest out there. It’s a great place to discover what users want. Forums. On the web you can find lots of forums for different topics and niches. One of the benefits to writing articles that answer questions commonly asked in niche forums is that you’ll probably find your piece cropping up in the threads if you do a good job. The point is to figure out exactly what your audience wants — and give it to them. Are your visitors going back and clicking on other search results, or are they finding the answers they’re looking for on your site? If the former is true, you're on the right track. Longer, structured posts which provide value get better results from Google. Since May 2015, mobile search has surpassed desktop search in ten countries, including the US and Japan, and it's a fact that this trend will continue. At this point, it’s a must for every webmaster to keep their website mobile-friendly. Three tools that you can use to check whether your site is mobile-friendly are Bing's Mobile Friendliness Test Tool, Google's Mobile-Friendly Test, and mobiReady. The first and second are good, but they don't tell you why your site is mobile-friendly or not. mobiReady is a more sophisticated tool. I recommend using it because it gives you an enhanced view of your website analysis and uses a rating system. When your site scores higher, the more capable it will be of providing a quality user experience on mobile devices. Furthermore, it gives you a detailed list of website performance failures, and why some of these factors lower your page result. Avoid software that is not common on mobile devices, especially Flash. Remember to make your site responsive if you are coding it from scratch, or use a responsive framework/theme. Be sure the content fits within the screen viewport so users don’t have to scroll horizontally or zoom. Format text in a way that should be readable without zooming. Place links far enough apart from each other so visitors can easily touch the correct one. In case you are using a CMS for your website, check these guides provided by Google. Don't forget: a mobile-friendly approach gives your site a great boost in Google's rankings. A non-mobile-friendly competitor doesn't stand a chance against a mobile-friendly site. Sites with a slow loading time don’t only annoy visitors — they also decrease SEO rankings. Top-ranking pages get loaded for about 1.1 sec, but on the other hand, 40% of people abandon a website that takes more than 3 seconds to load. 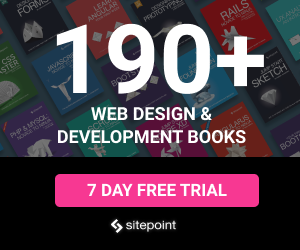 Your site is probably between these two limits. Check these tools for analyzing your site's page speed and see what you can improve. 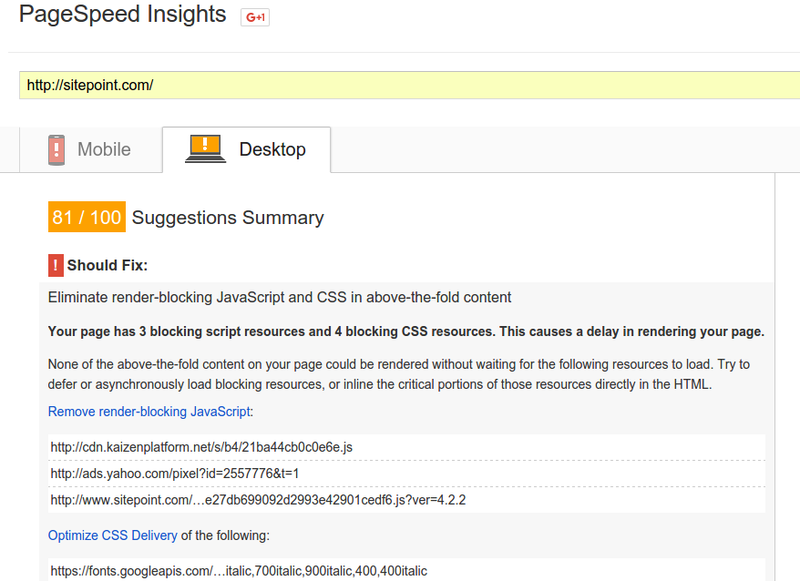 PageSpeed Insights is a tool offered by Google which helps to localize speed problems on your site. It has a ranking system from 0 to 100 where 100 is the highest score. The best feature of Google's PageSpeed is that it shows what needs to be critically fixed. It also shows other improvements you can make and how to fix them. YSlow is an add-on for browsers that suggests ways to improve performance based on grades. Each component analysis has its grade. YSlow is great when you want to see the size of components according to their types. If you are serious about your website's performance, I recommend adding YSlow to your arsenal because it is based on rules created by Yahoo! 's Exceptional Performance team. GTmetrix is another free tool that suggests ways to improve website speed. It's an efficient tool because it shows performance issues which are measured by both PageSpeed Insights and YSlow. It also displays a waterfall chart and three other charts measuring the performance of the website. 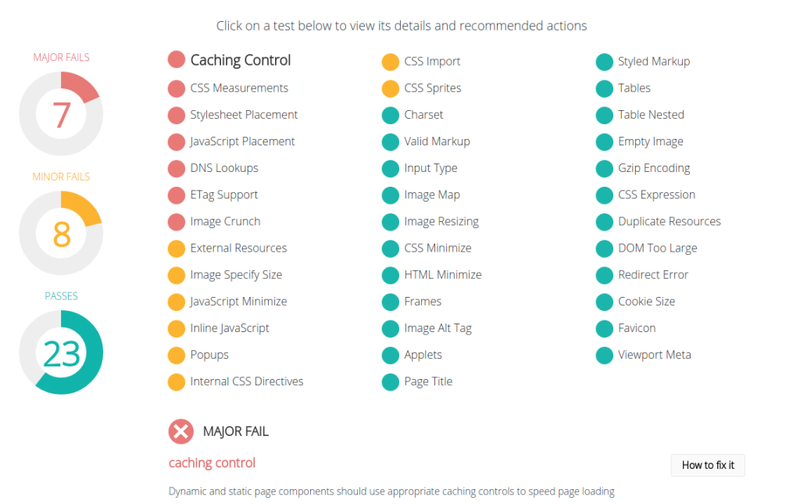 For a more detailed waterfall analysis, Web Page Performance Test is another helpful tool. To make your site load faster, there are many factors you should consider. Here are a few. Be sure to reduce HTTP requests on your site. Also, reduce external files that need to be loaded such as style sheets, scripts and images. Improve your server response time. This delay is usually caused by slow routing, lack of adequate memory or slow database queries. Use browser caching so that when a user visits your site again, the browser doesn't have to reload the entire page, just some components. When you optimize your images be sure to keep their size not too large or too small, and use the right format according to the purpose of your image. It is advised to use JPEG for photographs and PNG for graphics. Since Google's Pigeon update, Local SEO is becoming important for every business that wants to rank well. Geographic location and search history play an important role in the type of results that people see. 20% of desktop searches have a local intent. On mobile devices, that jumps to 50%. The rise of individualized results will be the rise of Local SEO. Here are some useful tips to make your local business relevant. Make sure you create a Google Business Page and add your business description there. Be sure to add your address and include links to your information. Another important factor for improving your local SEO is to list your name, address and phone number on your website. Also create your local business profiles on review sites such as TripAdvisor, Yahoo Local and Yelp. It's a great idea to get involved with your local community and acquire inbound links from local news sites or community sites. Without these steps, your business will not rank well locally. Since Twitter's deal with Google, the indexation of Twitter is growing rapidly. Google is indexing hashtags, tweets, and profiles more than ever before. It is believed that 2016 will be the year where Google and social media will break their barriers in terms of SEO. After the agreement with Google, now we can see official Twitter profiles shown in top three results. Google doesn't need to crawl Twitter for information because it can find the information automatically. Aside from Google, Twitter also provides data to Bing and Yahoo's search service. It is expected that we’ll see significant changes in the way search engines use Twitter's data over time. When a visitor shares one of your pages on social media, more people will see the page, read it, and some of them may share it. This behaviour can lead to inbound links and mentions, which have a direct impact on rankings. It's a long gone era when webmasters would try to "fool" Google with keywords. Now they must understand use keywords in the right context as much as possible. Since the Google Hummingbird update, instead of chasing rankings for specific keywords in a question, it's better to figure out the context of a question. Answering questions is vital to any SEO strategy. Rather than focusing on a few phrases or keywords, brainstorm for conversation phrases people can use to look for your site. A keyword strategy is still necessary. Here are some keyword research tools you will find useful: Google’s Keyword Planner, SEMrush and Ubersuggest. They will help you find popular keywords and phrases where you can create strategies around them. 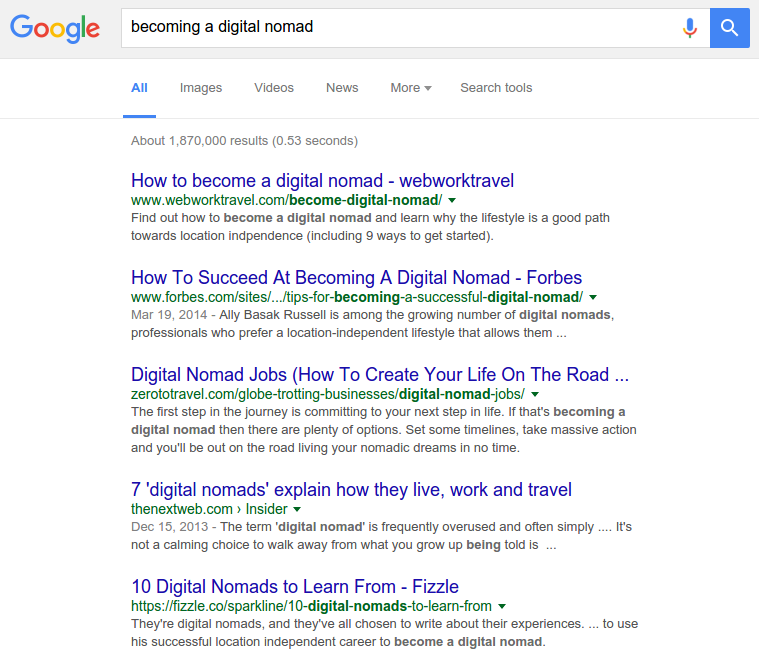 When you start planning a keyword strategy, keep an eye on Long-tail and LSI keywords. Those who said that SEO will be dead in 2016 are wrong. They said the same thing in 2015. That said, SEO in 2016 is not at all the same as old-school SEO where you’d find the "magic" keyword and revolve your entire strategy around it. This year, your SEO strategy should be a mashup of different approaches that will have one thing in common: provide value to users.